The Red Min(e)d i is pleased to announce the 3rd edition of The Bring In Take Out Living Archive to take place from 27th until 30th September in Sarajevo. Starting from the 1st edition in Zagreb – with a focus on the relational politics between feminism, contemporary art and the post/Yugoslav space, through the 2nd edition in Ljubljana – motivated by the feminist strategies of creating and processing an archive as the living knowledge of everyday life, with the 3rd edition in Sarajevo, Red Min(e)d continues to move towards a social articulation of the public space in the common field of art, theory and practice. With Sarajevo edition, Red Min(e)d wishes to challenge the meaning of commons through the process of reflecting, articulating and building a social space using architectural, artistic and curatorial means. Inside the former army base Josip Broz Tito that was in the meantime transformed into the Sarajevo University Campus, we are setting a temporary object – the architectural artwork of Armina Pilav back to back with a playground – the collective artwork of Sarajevo based artists where and around which 3rd edition will happen. Through the sound performance by Irena Tomažin as well as the Curatorial Forum involving local and international speakers ( Antonia Majača, Valentina Pellizzer, Lala Raščić, Jelena Vesić, Amila Puzić and Anja Bogojević among others), the Living Archive, accompanied by its permanent stations – The Reading Room, Perpetuum Mobile and the LA lab – continues to work towards the creation of the common ground for voicing out emerging subjects. Following the feminist statement of Silvia Federici on the politics of commons in which she concludes that: “this time, however, it is women who must build the new commons so that they do not remain transient spaces, temporary autonomous zones, but become the foundation of new forms of social reproduction”, we want to open up a counter-power space (FORUM) for thinking and discussing common strategies for an emancipatory process of social re/production and to move towards – by experimental and collaborative work. This year the films are selected by the pre-selection Committee composed by Adela Demetja (Albania), Art Director of BBB, Violana Murataj, BBB’s Albanian Ambassador (Albania), Myra Stylianou (Greece), film director and Stepan Altrichter (Czech Republic), film director. The Jury that will select this year’s Winner for the Best Film consists of Mr. Joni Shanaj (Albania), President, Mr. Yorgos Zois (Greece) and Mr. Idro Seferi (Kosovo). The skin is faster than the word. Intimacy is a ritual, an opening for creating a world according to your own rules. Intimacy is a space of introspection through sensory experiences and a space of sharing on the level of immediate response through skin. ..In „time of administration“(Negri) and „branded patterning of existence“ (Holmes), it opens way for productive tensions of the unexpected and the singular. It can also be seen as a critical force in society and culture, a stand against marginalization, stereotypes, ignorance, homogenization and bureaucracy. This exhibition presents the selection of artworks by younger generation of women artists in Bosnia-Herzegovina dealing with the intimate rituals as the ways of living-with and changing-with. U velikom amfiteatru Franjevačkog studentskog doma u Sarajevu u ponedjeljak 23.7. u 9:30h svečano će biti otvorena 5. Postjugoslavenska mirovna akademija (PJMA). Na otvaranju, prisutnima će se obratiti organizatori Postjugoslavenske mirovne akademije te voditelji ovogodišnjih kurseva: Tonči Kuzmanić, voditelj kursa Politika, moć i nejednakost; Svjetlana Nedimović, voditeljica kursa Uloga historijske istine u transformaciji sukoba i Jayne Docherty, voditeljica kursa Strategic Peacebuilding (Strateška izgradnja mira). Na istom mjestu, u četvrtak 26.7. od 16 do 18:30h, kao dio PJMA otvoren i za širu javnost, održat će se i zajednička sesija pod nazivom Angažirana umjetnost i izgradnja mira. Učesnici na sesiji su: Đorđe Balmazović, umjetnik iz Beograda, Adela Jušić, umjetnica iz Sarajeva, i Husein Oručević, umjetnik iz Mostara. Sesiju će moderirati Samra Dizdarević. Invited participants: Ferida Duraković* (poet), Faruk Šehić* (writer), Andrej Nikolaidis* (writer), Bekim Sejranović* (writer), Adisa Bašić* (poet/journalist), Marko Vešović (writer/poet and commentator), Melina Kamerić* (writer), Namik Kabil* (film director), Šejla Kamerić (film director), Adela Jušić* and Lana Čmajčanin* (visual artists),Gorčin Dizdar* (art historian), Nenad Prokić* (playwright), Adis Fejzić* (sculptor/painter), Frenki (musician), Zana Marjanović (actress), and “Stari Grad”* (a rock band from Srebrenica). Between June 21 and July 6, Triple Canopy editors will work with five artists and writers from Bosnia on a series of workshops and discussions dealing with idiosyncratic sites, figures, and objects with ambivalent relationships to the region’s traumatic recent history and concurrent forging of national identities. Triple Canopy editors and participants will choose places, things, and images whose meanings have not yet congealed but instead lead in contradictory directions. Rather than turning to emblems of entrenched narratives, rather than marking or restoring parts of the landscape in order to memorialize victims, preserve memories, or reveal a path to national rejuvenation, we’ll attend to the meanings that cannot so easily be recouped and repackaged, that resist easy interpretation, much less definition. Among them: the Olympic bobsled track turned front-line barricade in the mid-90s; the popular Serbian Zastava 101 automobile; rejuvenated Bosnian black markets; the extra J that transforms a word from Serbian to Bosnian and Croatian; nascent national beverages, fashionable typefaces, suburban mosques, prominent branding campaigns.These objects of inquiry will provide the basis for installations, performances, walks, and talks around Sarajevo; public presentations and discussions with invited guests; and contributions to Triple Canopy’s online magazine. Additionally, they will be represented in a book produced under the auspices of Triple Canopy’s Volume Number series, which provides a variable space for thinking through—and collaboratively enacting—the practice of publication and instantiating the public spaces magazines purport to produce in the world. This book, Perfect Strangers: A Catalogue of Ordinary Icons, will be published in the winter and will include documentation of public programs as well as elaborations of the projects discussed and conceived in Sarajevo. The materials—artist projects, prose, poetry, fiction, photography, transcripts, documents, emails, screen shots, coupons, receipts—will be organized as alphabetical entries, resulting in a subjective, selective lexicon of the Balkan imaginary, and of an imaginary Balkans. Contributors will include the participating artists and writers, attendees from Bosnia and Serbia and abroad, Triple Canopy editors, and a number of commissioned respondents who will not be present in Sarajevo.Perfect Strangers will develop original ways of thinking about how the work and identities of artists in the region circulate among the myths, misnomers, and misunderstandings that so often mark the context of international reception—and thus inevitably shape the conditions of production, and lead to the calcification of the symbolic repertoire. Triple Canopy editors and participants will discuss how artists and writers might productively evade and intervene in these discursive systems; misuse or abuse familiar, staid symbols and adopt new and defamiliarizing ones without sacrificing the social and historical complexity of their work. These problems will be reflected in the content of the work as well as the forms of its publication.June 26 at Collegium Artisticum, 6:30 p.m.
Mladen Miljanović presents a genealogy of the Zastava 101, the stable and affordable automobile produced in Serbia from 1974 until 2008 without significant changes to its design. The Zastava, which was extremely popular throughout the former Yugoslavia, became emblematic of the region’s economic and social stagnation, and often figures into Miljanović’s artwork. 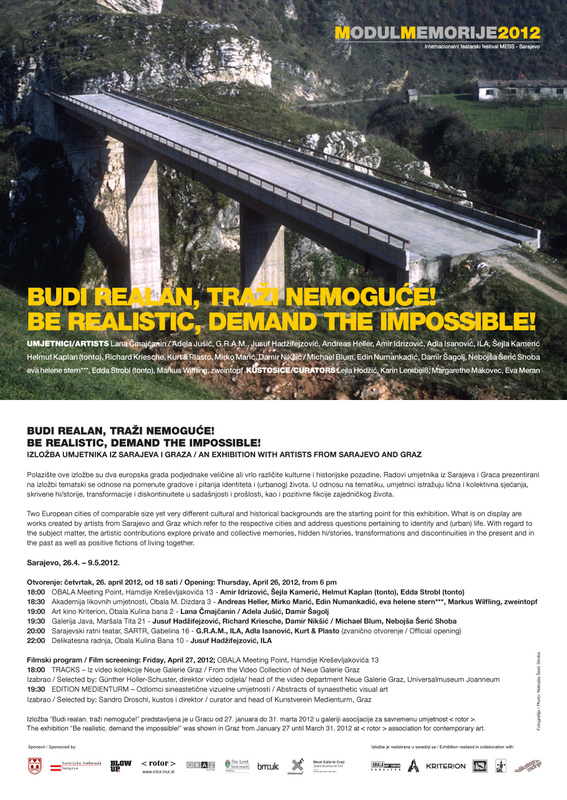 Radenko Milak screens and discusses the 1958 promotional film for Novi Travnik, designed as a prototype for Yugoslavian socialist cities and promoted under the banner “new factory, new ideas of life.” Followed by a conversation moderated by Triple Canopy’s Molly Kleiman.June 27 at Collegium Artisticum, 6:30 p.m.
Muharem Bazdulj discusses Arizona Market, a sprawling complex of stalls outside Bosnia’s Brčko District, where disused, forgotten, or stolen objects acquire a currency that has as much to do with their historical resonance and the social relations facilitated by improvised capitalism as their economic value. Bazdulj will be joined by Brooklyn-based writer and Triple Canopy contributor Joshua Cohen in a conversation moderated by Triple Canopy’s Sarah Resnick.July 3 at Kriterion, 6:30 p.m.
Adela Jušić delves into Sniper Ghost Warrior 2: Sarajevo Urban Combat, a first-person shooter scheduled for release in August. The video game, set in besieged Sarajevo, features American-accented “ghost warriors” who defend the city from an attacking army—a historical corrective, or perhaps a creative diversion overwriting the collective trauma.Azra Akšamija analyzes the forms of mosques built in post-war Sarajevo, using three case studies to show how cultural memory is erased only to be reinvented. Followed by a conversation moderated by Triple Canopy’s Alexander Provan.July 4 at the Historical Museum of Bosnia and Herzegovina, 5 p.m. Secondary Witness is curated by Maayan Sheleff, recipient of ISCP’s 2012 Curator Award, which offers the opportunity for a curator or curatorial collective to present a new group exhibition. This award was established in 2009 for participants in selected curatorial studies programs, as a response to the lack of opportunities for emerging curators to present institutional exhibitions in New York City. 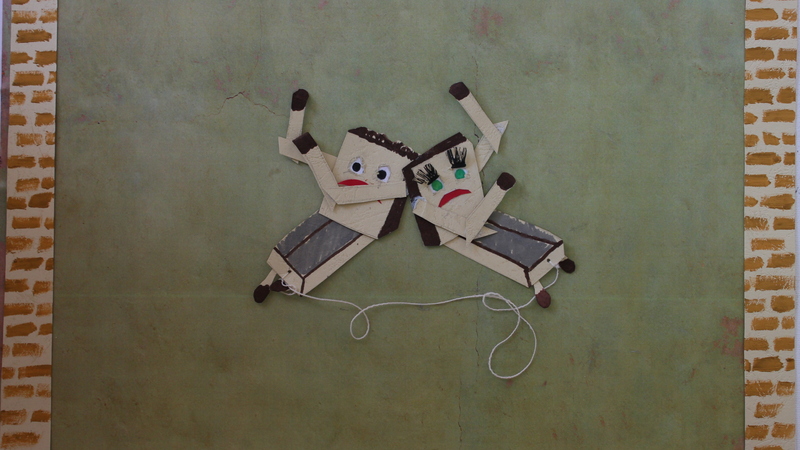 The video works in Secondary Witness touch upon the notion of testimony and explore the artist’s position as mediator. Various personal stories are presented in the included works, which reflect societies in a constant state of conflict and trauma. The artists in Secondary Witness, natives to countries of conflict, examine their place as secondary witnesses and their relationship to protagonists and their testimonies. Some of the artists choose to blur the boundaries between documenter and documented by entering the photographic frame, or handing the camera to the subjects themselves. One prominent example of this is Mich’ael Zupraner’s Snow Tapes, in which he worked with materials shot by a Palestinian family, who documented their violent encounter with a group of neighboring Jewish settlers in Hebron. A more subtle example is Dor Guez’s (Sa)mira, in which he acts as an invisible yet heard presence, re-examining his protagonist’s point of view by making her repeat her story, in which she recalls a traumatic moment when her Arab background is exposed, and she is asked to change her name to a Jewish one by her boss. Avi Mograbi is a prominent character in his work Z32, where he debates (and sings) about the difficulty of recording an Israeli ex-soldier recounting a war crime he has committed. At times the artists literally take the voice of their protagonist: Lana Čmajčanin stands at a podium, reading the testimony of a Bosnian woman who was raped during the Bosnian War, while Adela Jusic reads her grandmother’s memories as she washes her hair repeatedly. These acts of over identification also externalize a mode of control and manipulation over the protagonists. Like Čmajčanin and Jusic, many of the artists search for a performative testimony that will reflect a subjective feeling. This performativity is evident in Juan Manuel Echavarria’s Mouths of Ashes, where survivors of massacres in sequestered villages in Colombia put their traumatic experiences into music and sing them in front of the camera. The subjective, performative and poetic testimonies reflect an abandonment of the need to represent the real, and an attempt to construct a new reality, as a critical act. With many moments of humor and grace, they reject the commonly accepted notion of truth, question definitions of victim versus perpetrator, and challenge preconceptions. The undermining of the customary power relations between documenter and documented, with regard for the resulting internal contradictions and complexities, is a call to alter the existing balance of powers between strong and weak, heard and silenced. It calls upon the viewer, as a third witness, to add their own memories and experiences, to reconsider his/her passive position in power relations, and to take a more active position in their realignment. Artists: bureau d’études, Nin Brudermann, Harun Farocki, Omer Fast, Hans-Peter Feldmann, Téo Hernandez, Monika Huber, Alfredo Jaar, Adela Jušić, Langlands & Bell, Radenko Milak, Trevor Paglen, Thomas Ruff, Roy Samaha, Wilhelm Sasnal, Ahlam Shibli, John Smith, Sean Snyder, Thomson & Craighead, and Jasmila Žbanić. The exhibition I Will Never Talk about the War Again will be presented for the first time in Slovenia as a part of the programme created by KIBLA for the manifestation Maribor 2012: European Capital of Culture. 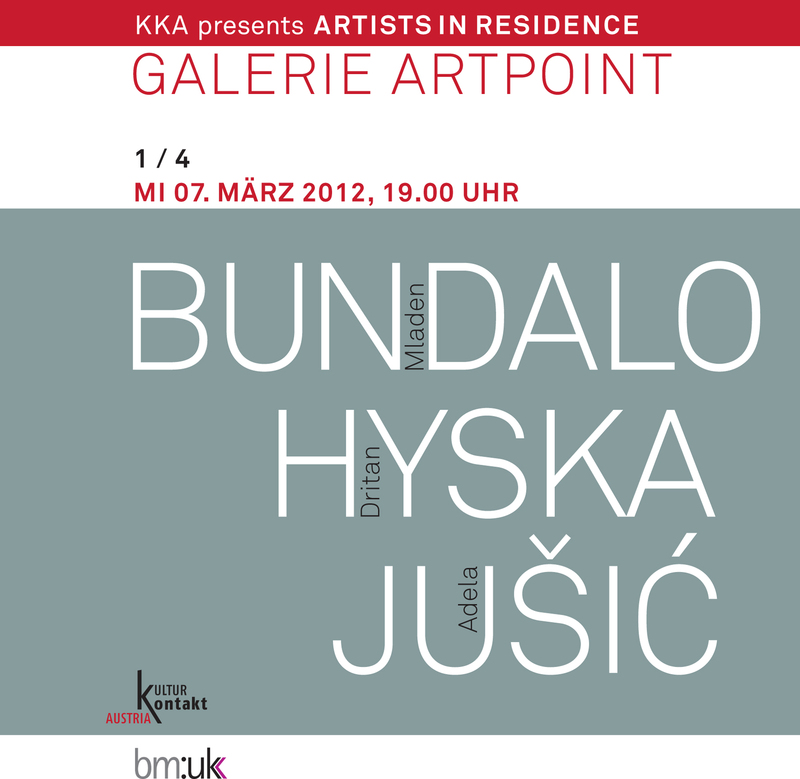 The exhibition has been produced by KIBLA and Biro Beograd, with the support of the Ministry of Education, Science, Culture and Sport of the Republic Slovenia, Maribor 2012 Institute – European Capital of Culture and City Council of the Municipality of Maribor. Under a heavy burden of wars, ethnic nationalisms and socioeconomic stratification processes, generated by neoliberal capitalism’s ideology, almost all states formed after the destruction of Yugoslavia suffer from neocolonial dependency imposed by global capital and permanent crisis at the European economic periphery. In such a constantly antagonistic social and political context there are certain requested positions in which testimonies of war trauma are represented, manifested and interpreted. That is why many representations in the field of cultural production and contemporary art don’t succeed to escape from stereotypes. The exhibition I Will Never Talk about the War Again deals with the question can contemporary artistic practice find a language with which it would be possible to speak politically about individual and collective war and post-war experiences, without slipping into exoticization? Is it possible to find an adequate artistic formula, and is it always necessary to create empathy in the process of understanding? Silence and amnesia are the most common reactions to trauma; does art in this sense actually also remain silent by using only the symbolic language of images and sounds, staying in the field of mediation and symbolism? The title of the exhibition is borrowed from the video performance I Will Never Talk about the War Again, by two artists from Sarajevo, Adela Jušić and Lana Čmajčanin.Fortheir recent sound installation piece Bedtime Stories they collected stories about life during the 1395-days’ siege of Sarajevo, when people sought shelter from grenades in the small basement quarters of the city’s buildings. Past Entangled Tense and Cityscapes are screening programmes, including video works from the Transitland archive. 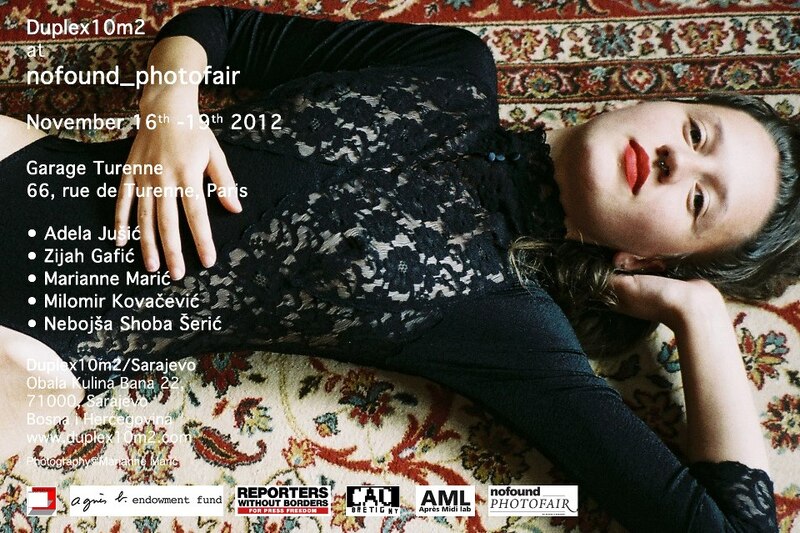 All works in the two screening programmes are by artists from South East Europe. Transitland Video Art from Central and Eastern Europen 1989 – 2009 is a collaborative research and archiving project initiated on the occasion of the 20th anniversary of the Fall of the Berlin Wall. Its main outcome is a selection of 100 single-channel video works, produced in the period 1989-2009 and reflecting the transformations in post-socialist Central and Eastern Europe. 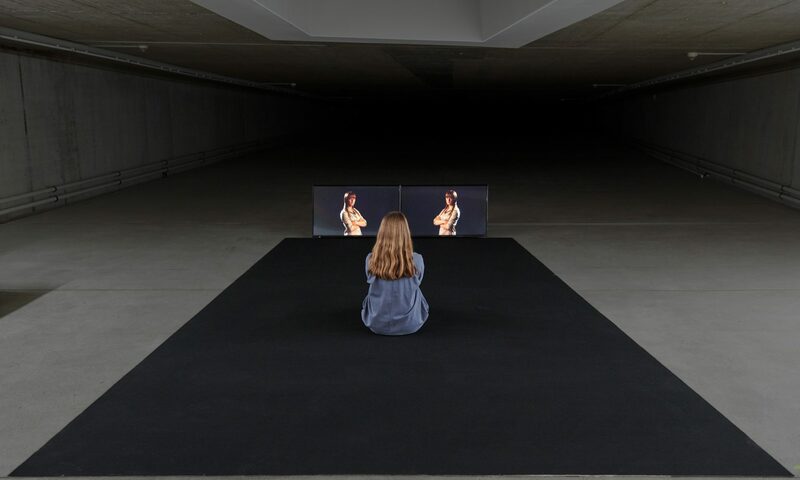 Transitland is not only the widest-spanning presentation of video art from Central and Eastern Europe but also a unique attempt to address and reflect upon an extensive period of complex transformation and changes. The project was realized by InterSpace Association Sofia, Ludwig Museum of Contemporary Art Budapest and Transmediale festival for digital culture Berlin. 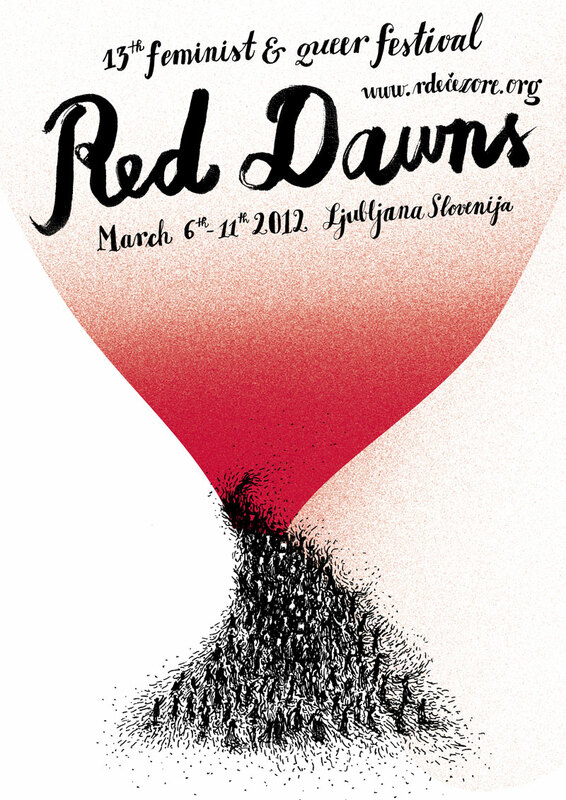 Living Archive Ljubljana Second Edition back-to-back with Red Dawns! The Red Min(e)d in collaboration with the International Feminist and Queer Festival Red Dawns (Ljubljana) and the Center for Women Studies (Zagreb) are pleased to announce the 2nd edition of The Bring In Take Out Living Archive to take place between 7th – 10th March 2012 in Ljubljana at the Alkatraz Gallery and the Kapelica Gallery. The LA second edition will continue to work on the methodology and process of creating an interactive platform of feminist contemporary art within the postYugoslav space and beyond. During 4 days of collaborative work we will focus on the mapping of feminist practices in contemporary art, processes of generating, producing and mediating knowledge – especially from queer and feminist grass-root perspective. Ljubljana edition features Vesna Bukovec (Ljubljana), Ida Hiršenfelder (Ljubljana), Biljana Kašić (Zagreb), Margareta Kern (London), Tanja Marković (Belgrade), Karen Mirza (London), Vahida Ramujkić (Belgrade) and Aviv Kruglansky (Barcelona), Ana Vilenica (Pančevo) and many others.